SuffrageCentennials.com supports history has value statement! 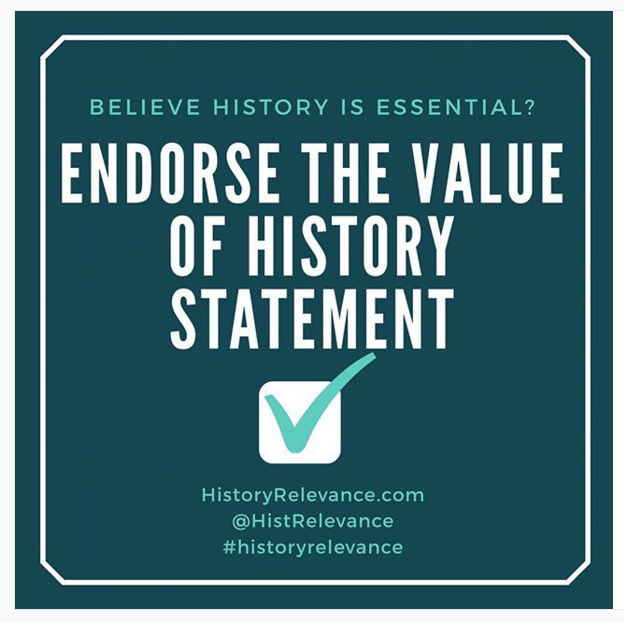 HistoryRelevance.com is conducting a national campaign to raise awareness about history has value campaign. We support this initiative. LetsRockTheCradle.com, a sister site to SuffrageCentennials.com, has been spreading the word about the “Value of History” statement. The campaign has special relevance to many organizations and individuals planning for 2020 when US women will have been voting for 100 years. If your organizations hasn’t endorsed the history has value statement, plan to do so. SuffrageCentennials.com has been publishing since 2013. Our sister site, QuakerWomen.com, is getting started. If you know a Quaker woman interested in recognizing the Quaker activists of the first wave of the women’s rights movement in the United States, send them to this web platform. This entry was posted on February 2, 2019, in Blog and tagged History. Bookmark the permalink. ← Patriotic protest theme important in women’s suffrage organizing!